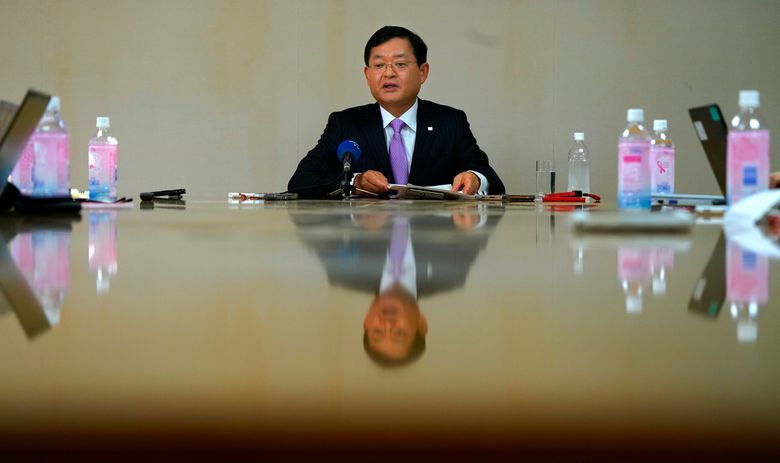 TOKYO (AP) — Nobuaki Kurumatani, the outsider tapped to lead scandal-tarnished Japanese electronics company Toshiba Corp., is promising a turnaround in five years by reshaping its operations and boosting profitability. 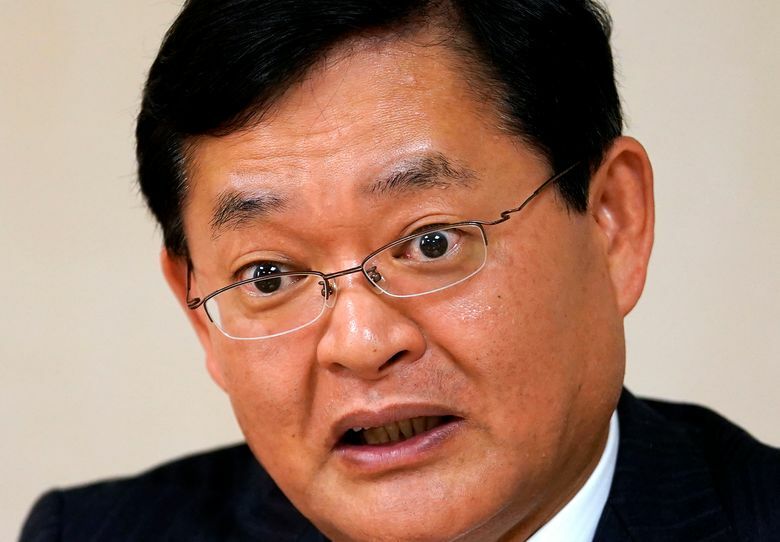 Kurumatani, the first outsider to be appointed chief executive at Toshiba in more than half a century, acknowledged the system of governance and risk management had been weak. He stressed he brought to the company his experience in the financial sector, where compliance controls were tougher. Toshiba has been embroiled in an accounting scandal involving massive doctoring of books. “I feel that the organization is determined to change,” Kurumatani told reporters Tuesday at Toshiba’s Tokyo headquarters. Toshiba has also racked up heavy losses in its nuclear business and is selling its lucrative computer-chip business to avoid going belly-up. At the center of the losses is the acquisition of CB&I Stone & Webster by its U.S. nuclear unit Westinghouse, which filed for bankruptcy protection last year. 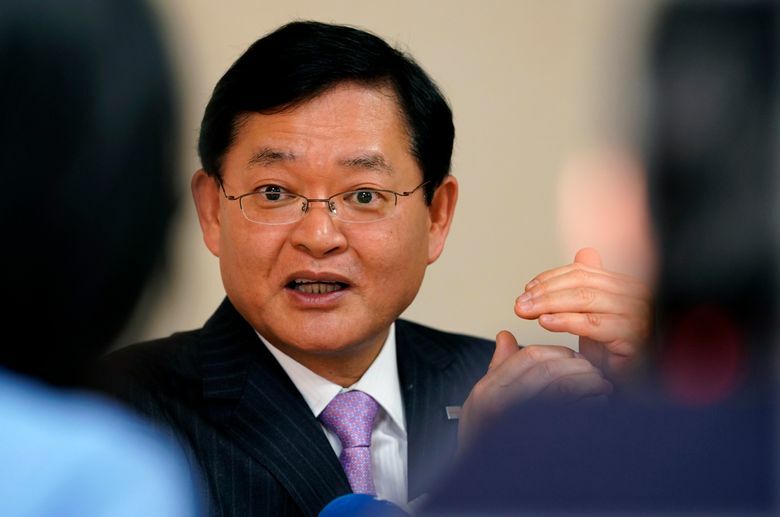 Kurumatani said the company will withdraw from all overseas nuclear operations, and the future of the energy business is moving toward renewables. Costs of building nuclear reactors have surged due to beefed-up safety measures after a March 2011 accident at a plant in Fukushima in northeastern Japan sent three reactors into meltdowns. Toshiba’s chairman stepped down last year, but veteran Satoshi Tsunakwa has stayed on as president and chief operating officer and will be working with Kurumatani toward a turnaround. Kurumatani’s rise is an effort by Toshiba to put on a fresh face to a long-pristine brand that has plunged from grace not only over the Westinghouse fiasco but also because of spiraling accounting scandals that raised serious questions about its ethical practices. Efforts to reform corporate governance turned up more embarrassing wrongdoing, which dated back years. A graduate of the prestigious University of Tokyo, Kurumatani most recently served as president of CVC Asia Pacific Japan, an investment fund. 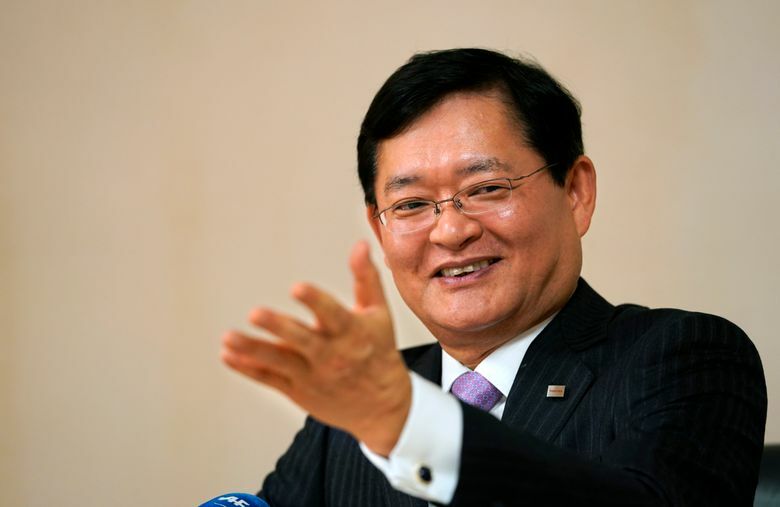 Before that, he was deputy president and a director at Sumitomo Mitsui Financial Group, one of Japan’s biggest banking institutions and a major Toshiba lender. Unlike previous Toshiba executives with backgrounds in engineering, Kurumatani built his career in corporate planning, public relations and auditing. Toshiba has been gradually selling off pieces of its operations, such as its medical equipment and household appliance businesses. But the key sale is its prized flash memory chip business to a consortium led by Bain Capital Private Equity. That sale was initially set to be completed in March but is ongoing, awaiting regulatory approval in China, according to Kurumatani. Toshiba has reached a settlement with American computer data storage giant Western Digital, its joint venture partner, which had initially fought the sale. Toshiba still has a sprawling infrastructure business, such as railways, power systems and factory automation. It’s still responsible for running and decommissioning dozens of nuclear reactors in Japan, including those at the Fukushima plant. Toshiba is forecasting a profit for the fiscal year that ended in March, a reversal from the red ink it had expected earlier. It racked up a loss for the previous fiscal year.